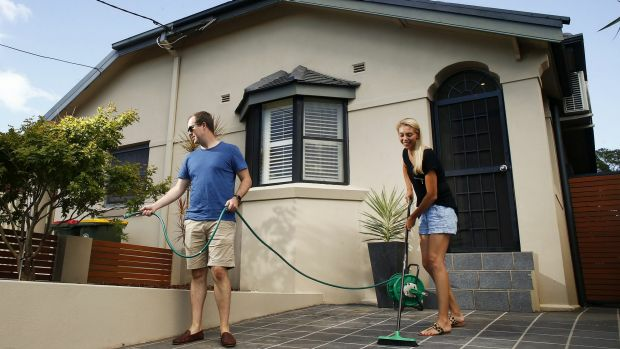 If you want to sell, and sell for the best possible price in today’s fickle property market, then preparation is the key, experts say. Here are six factors you need to get right in order to get the “sold” sticker on that sign. “You don’t want to pitch your property at too high a price where it won’t sell and sits around for weeks or months, but at an achievable level where people see good value,” he says. “Then set a date for your 30-day auction campaign. Making your home look as good as it can is vital to the success of your sale. Rosalie Gordon, principal of Planet Properties inner west, says the first tasks are to have a mammoth declutter and then clean everything until it’s absolutely spotless. “A fresh coat of paint can do wonders for the interior, and you need to tidy up the garden,” she says. Consult a stylist if you don’t have natural flair for making your home look good, and be open to the idea of hiring furniture or mixing and matching with some of your own. People often say you need just one buyer to sell your house, and that’s right, says Brian White, chairman of Ray White. But if you have two or three or more interested buyers, then you’re likely to end up with a much higher price. “If your agent has a good plan to promote your property and maximise competition for it, then you’re going to be a lot better off,” he says. “I’m a great believer in covering the entire market. With the reach of the internet, professional photography has never been more important. Laing Real Estate managing director Vicki Laing had to stop someone from photographing their house themselves. “The photos have to show the style of your home, a great setting, make the best of any views or outlook and give the prospective buyer a warm and fuzzy feeling,” she says. Placing your property in the right marketplace is vital, advises David Buttel, managing director of Raine & Horne, Neutral Bay. If it’s likely to appeal to an investor, then it should be portrayed as a low-maintenance home that looks after itself, together with a rental history and any other appropriate facts, like low strata levies. Potential: Should you renovate to increase your sale price? It’s the $15,000 to $150,000 question: your home looks great, but the state of the kitchen, or bathroom, or back deck lets it down. So should you renovate, or would the buyers love to do it themselves? REINSW president John Cunningham says there’s a simple rule of thumb to help you make the decision. Obviously try not to over-capitalise. A good real estate agent will usually advise you on what your spending limit might be to ensure a good return on your investment. A Rolls Royce-standard new kitchen in a Kia-type cottage, for example, will always be a step too far. Try to match the level of the house when you’re deciding what to do. With three small children of their own, Jason and Cherie Watson felt sure the main appeal of their three-bedroom home in Matraville would be to similar young families. So a major priority was to tidy up the back garden before putting the house up for auction. “We thought our big market would be a family perhaps moving from a unit, eager to get some grass under their feet,” Jason says. That child-friendly yard is a great feature of their single-level semi at 14 Moorina Avenue, overlooked by its open-air undercover dining terrace. Another is the light-filled, open-plan spaces inside. “We painted the place throughout, top to bottom, to freshen up the interiors,” says Jason, 31, who runs an equipment-leasing business. “That always makes a big difference, as well as doing all the little odd jobs around the place, like tidying up the grouting in the bathroom.